Laguna de Apoyo, Nicaragua: Snails! 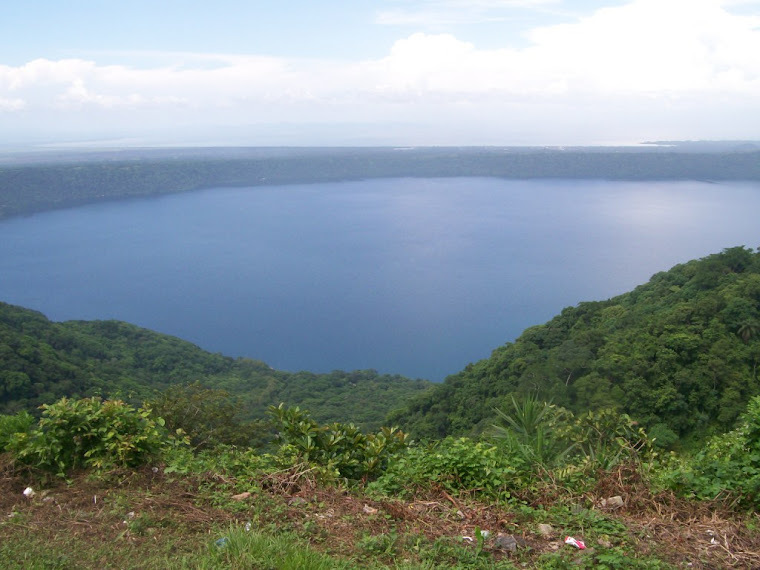 The work discussed here is an extension of our studies for over a decade on the ecology of Lake Apoyo, a volcanic crater lake in the Pacific region of Nicaragua. To learn more about the freshwater snails of Laguna de Apoyo, click here. Volunteer researcher Chris Hellyer is studying snails at Estación Biológica in Laguna de Apoyo Nature Reserve. Snails are an important part of the ecology and foodchain in Laguna de Apoyo. The aquatic gastropod snail (Pyrgophorus coronatus) is an important component of the diet of native cichlid fish species and it is also a carrier of parasitic heterophyid worms. These worms have been associated with high levels of blindness of native fishes. Hellyer has been collecting snails from different habitats of the Laguna de Apoyo and studying them under the microscope looking for parasites. He is also looking at other snail traits like shell-length and fecundity (breeding activity), to see whether they vary between habitat and plant species. Live Pyrgophorus coronatus from Laguna de Apoyo, Nicaragua. Photo by Chris Hellyer. “One theory is that increasing levels of parasitism may be associated with ecosystem disturbance by introduced fish species and changing composition of Laguna’s aquatic plant species”, says Hellyer. “When the native Chara plants were eliminated from the lake due to introduced tilapia fish, blindness in native fish dramatically increased”. Chara is a natural habitat for snails and they have had to seek alternative habitats and food, such as filamentous algae. This algae is a type of cyanobacteria, which are known to contain toxins that may affect organisms that consume it. The results from this research will increase understanding of snail and parasite ecology in the Laguna and may contribute to conservation action in the future. More news later.. stay tuned!